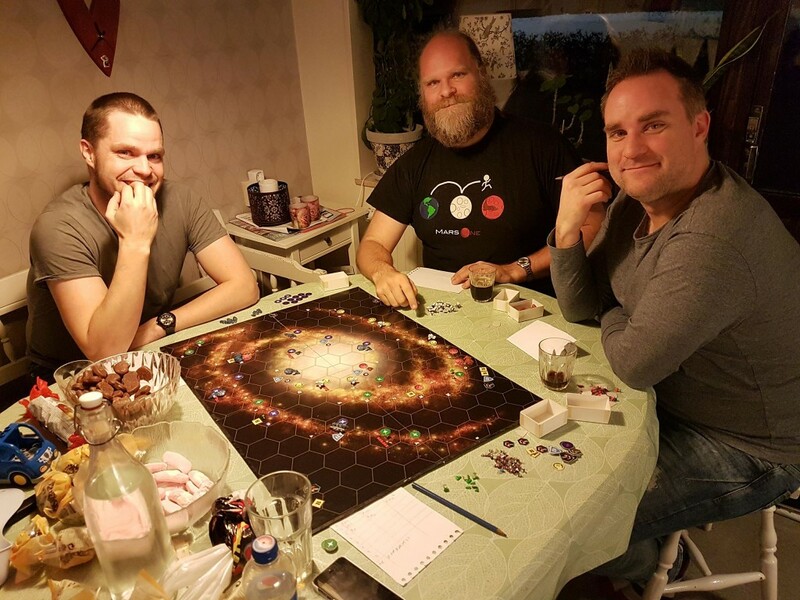 This weekend, FryxGames gathered in Linköping (we live in 4 different cities) to hang out and play/develop our games. It’s so much fun when we meet and have some time together! Just to show that we have quite a lot in the works, we had time to play Terraforming Mars with expansions, Brawling Barons with expansions, a new version of Space Station, Angels and Demons, Fate, Time Shadow, Garbage Heap, Trader, and Conquerors from Milky Way. Otherwise we are always busy with expansions and reprints for Terraforming Mars these days. Prelude may be a small package, but it’s going to be great!! Warm wishes from the Fryxelius brothers! Now what could that project be? Essen is over, and it’s been a blast! As always. The annual October trip to Germany is the highlight of the year for us at FryxGames. Distributing new prototypes, showing each other new stuff in the works, discussing our business, setting up the booth, ripping up boxes of new deliveries from the factory, demoing, selling, meeting new and old fans, meeting other companies, and for a short while have time for a stroll through the fair. 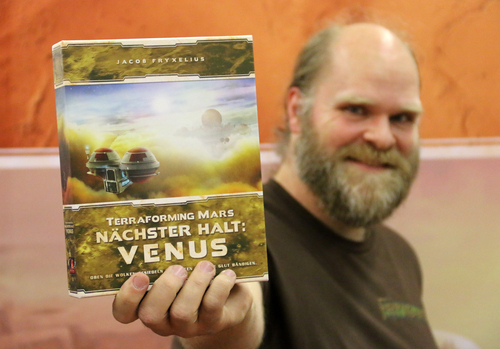 Jacob holding the German version of Venus Next. Photo: Henk Rolleman. * This year saw the release of two expansions for Terraforming Mars. First Hellas & Elysium during the summer, and then Venus Next was released at Essen. 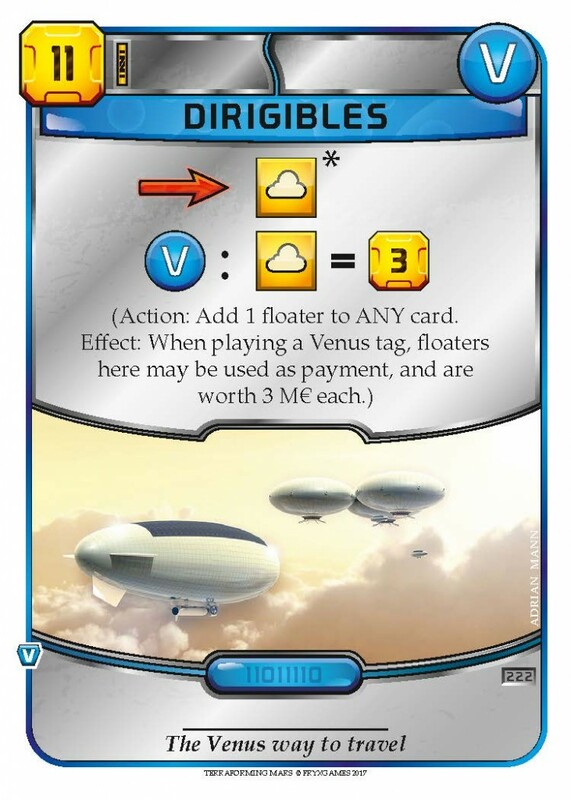 In Venus Next, players can diversify their strategies and start to work on the terraforming of Venus, building cities and industries in the clouds! 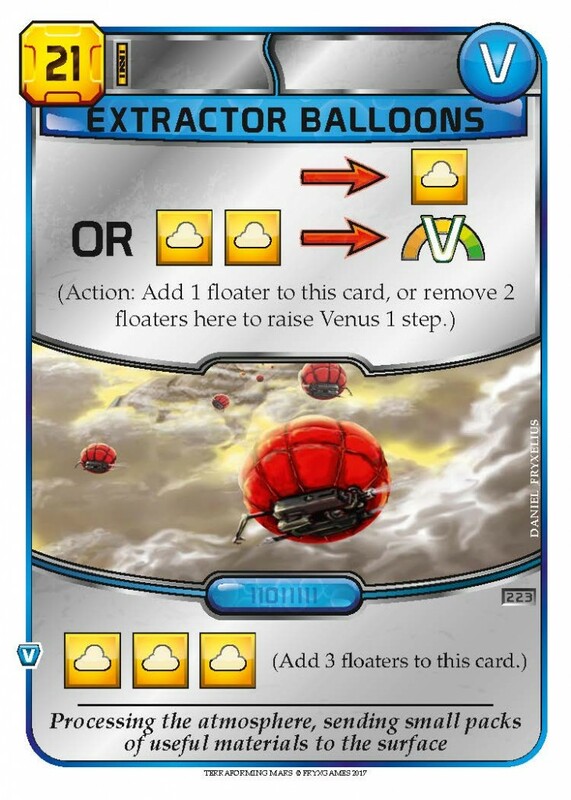 With new project cards, new corporations, a new track and an additional milestone and award, Venus Next packs a punch. * As is becoming a tradition of ours, we also had a beta-test event where we presented coming releases and invited people to become FryxGames beta-testers. This time we presented two great games for the future – Fate: Defenders of Grim Valley, a cooperative fantasy tower defense type game, and Angels & Demons, a battle game between armies of… angels and demons… We are so excited about getting these games ready for publishing in the coming years! 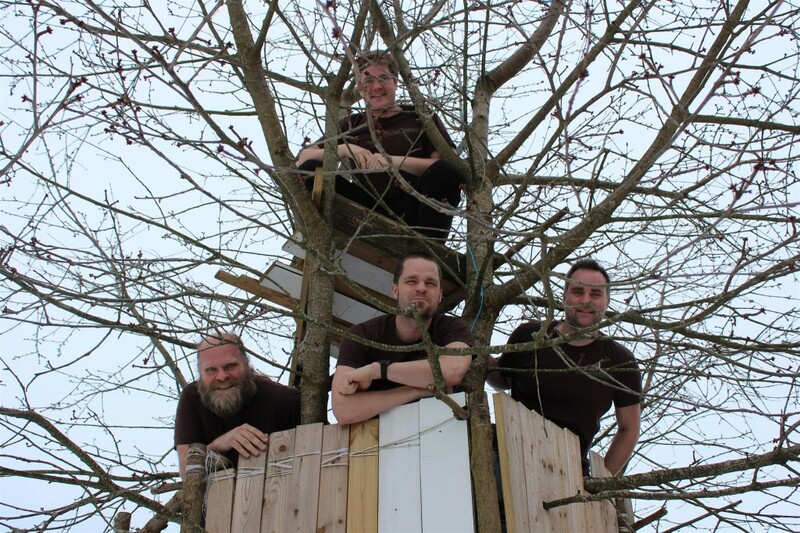 Now back in Sweden, we are beginning to get back to normal, continuing to work on new games and expansions. Expect to see new great releases from FryxGames in 2018! When the World Government adds more terraforming funds, it also requires a measure of control. 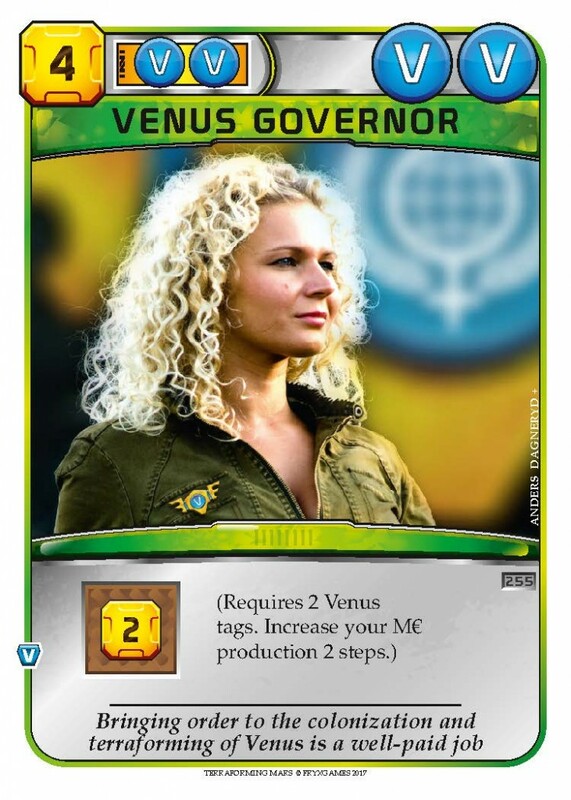 Lucky for you, they are ready to make you their governor of Venus! Besides giving you a sizable paycheck, it also allows you to tax e.g. 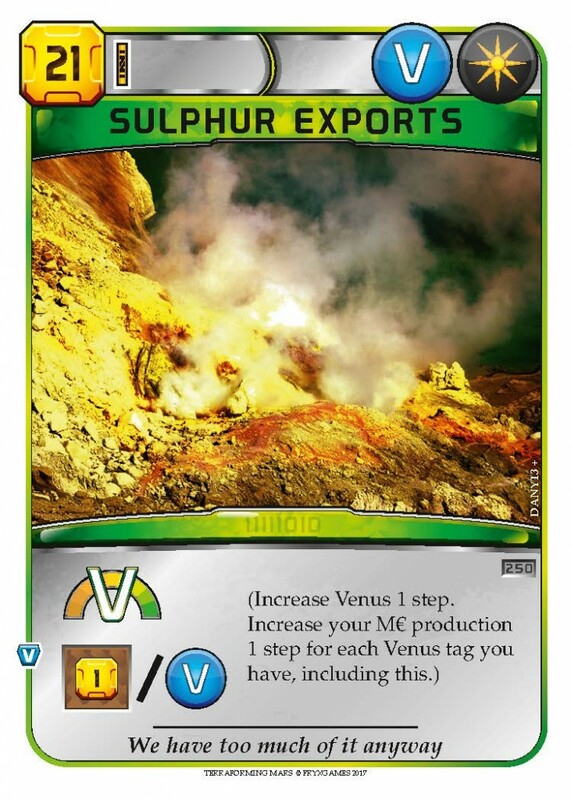 the sulphur exports, an important industry on Venus. The fast way to get your application approved is to first build a Venus Waystation, making the Governor title free. 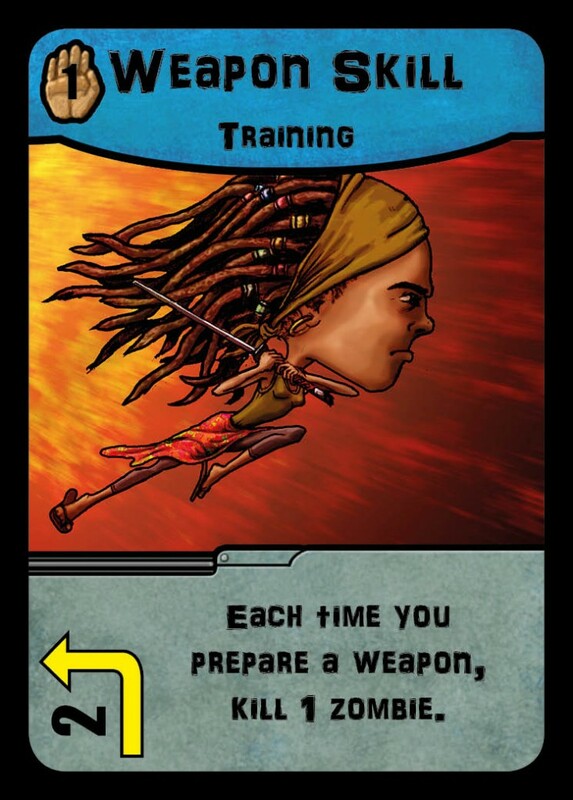 A central theme in After the Virus is to save survivors. 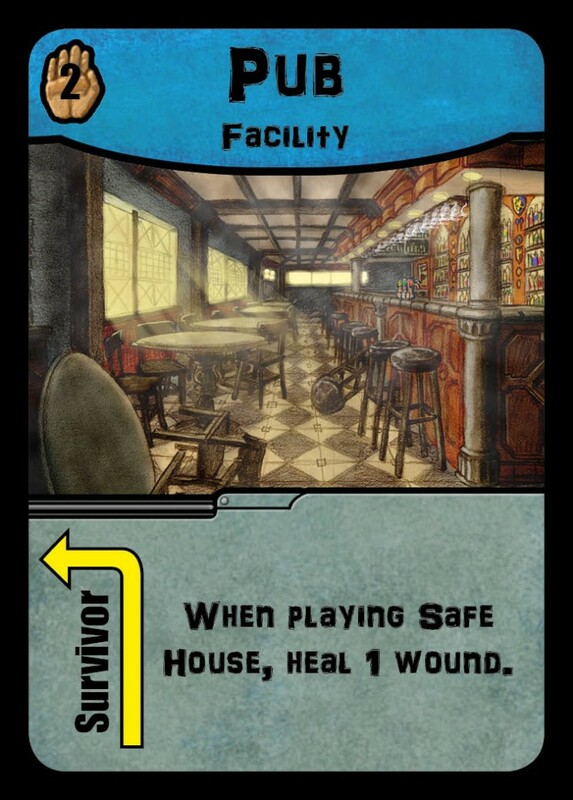 It is part of many missions, and it is even part of your starting deck! So how do you go about saving survivors? 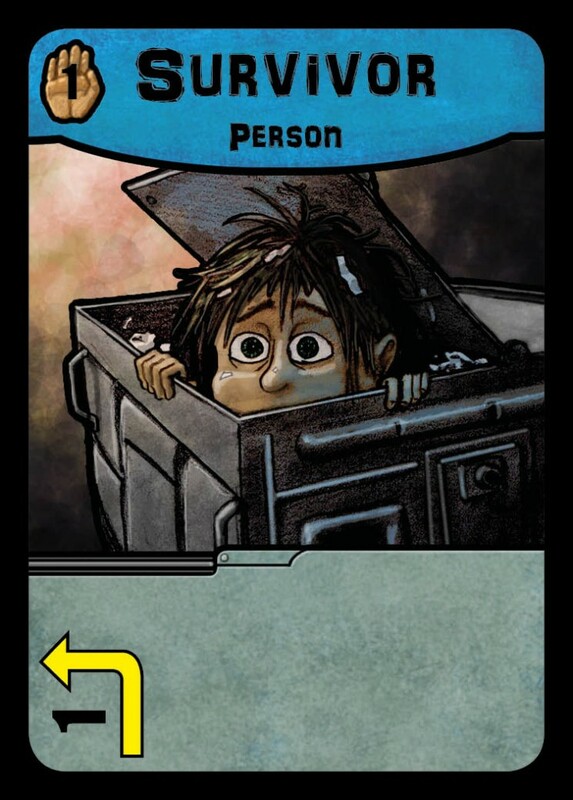 Well, first you have to find them (play them sideways from your hand) and prepare them (discard 1 card each to raise them to a vertical position). It is often best to do this in advance, because you can’t save cards in hand between turns, and you never know how many cards you can spare when you get Safe House into hand. 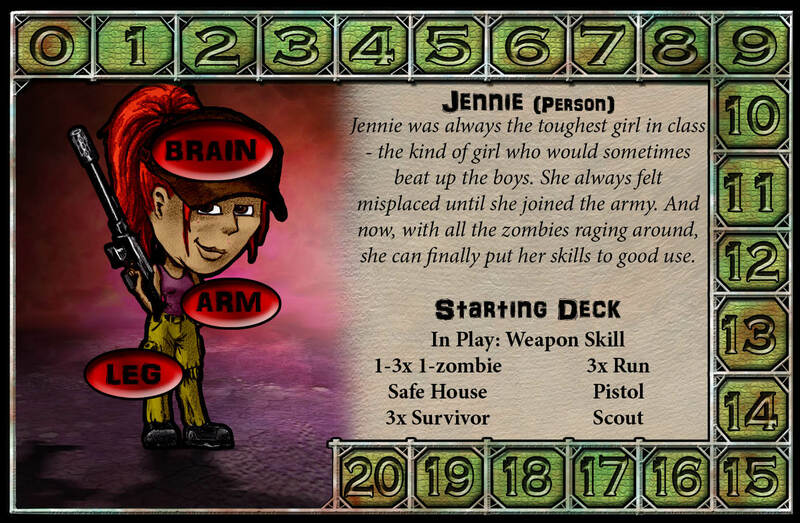 By saving several Survivors at the same time, you gain both speed and efficiency, but it requires your focus, which can be difficult with all the zombies moving about. So, what do you do on missions where you don’t need to save survivors? 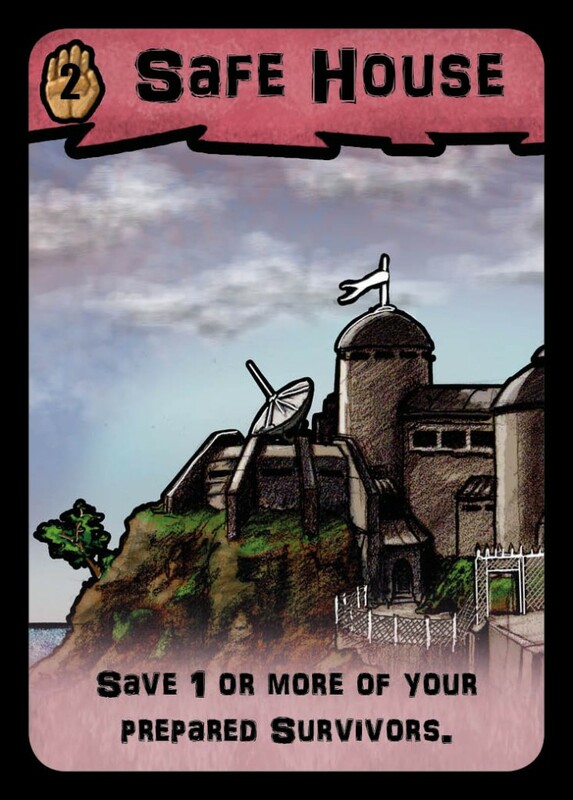 You can still save them! Because when you save survivors, you can, instead of counting them as saved, get cool gear from them. 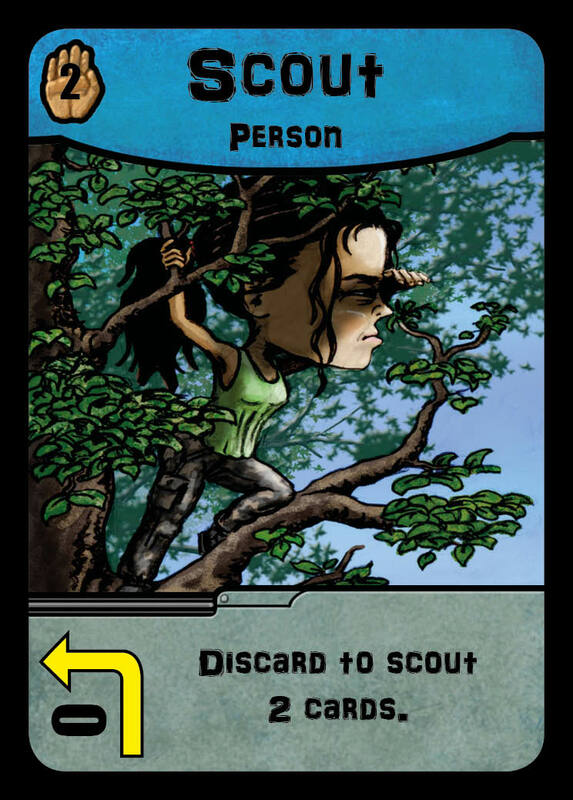 You just ask nicely, and each of them will give you the top card from the area deck as an unprepared card in front of you! They’ll do anything for your protection. Hehe. 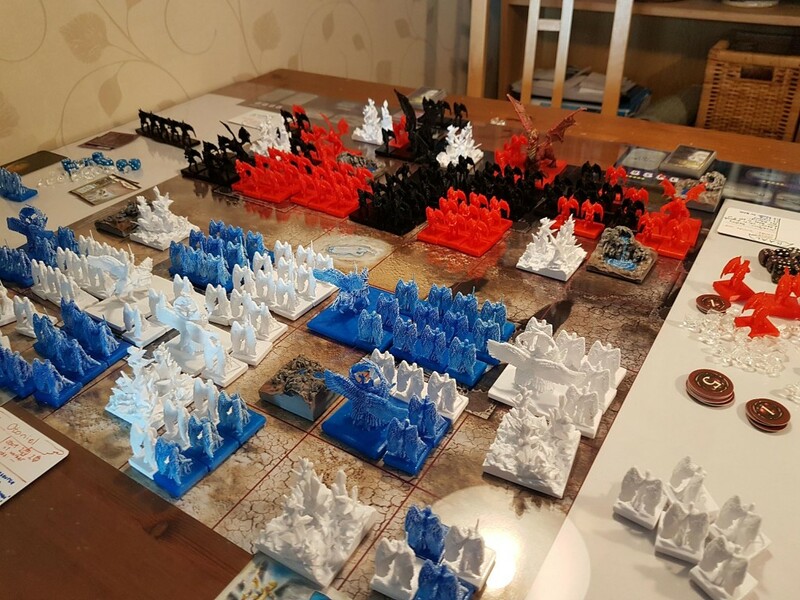 See you in court… or Essen! 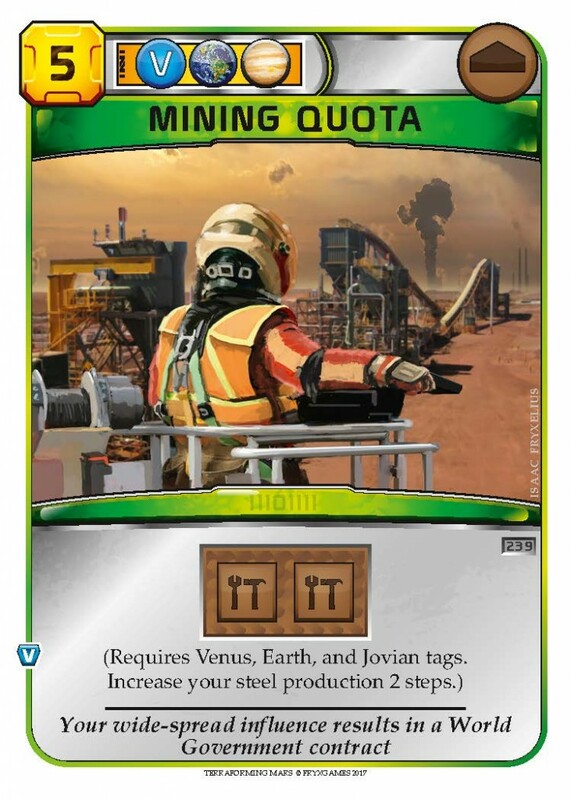 Venus Next expands the scope of Terraforming Mars, giving a broader view of the colonization of the solar system, and when mankind expands, conflicts of interest inevitably arise between corporations. 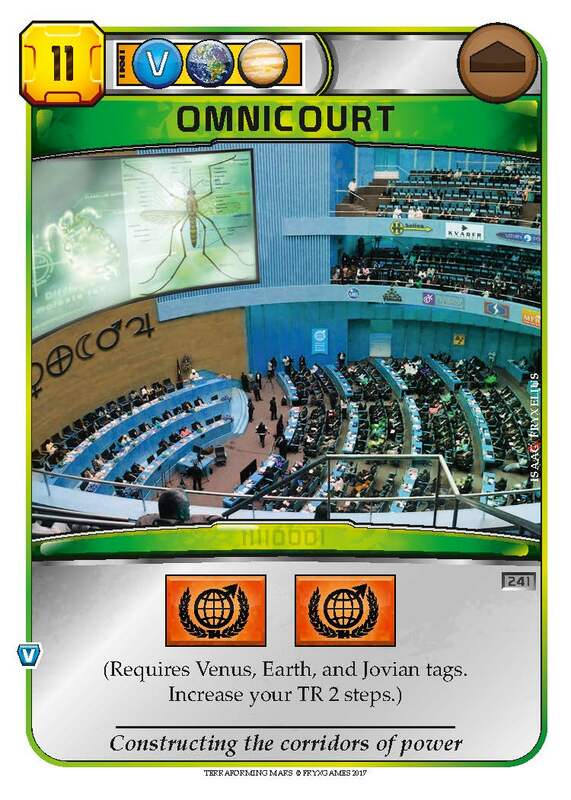 Such disputes can be settled in the Omnicourt, the universal judicial system for things outside of national territories. Of course, having widespread influence in the solar system increases your chances of winning disputes. If you don’t know how to handle a shotgun yet, you’re in trouble. 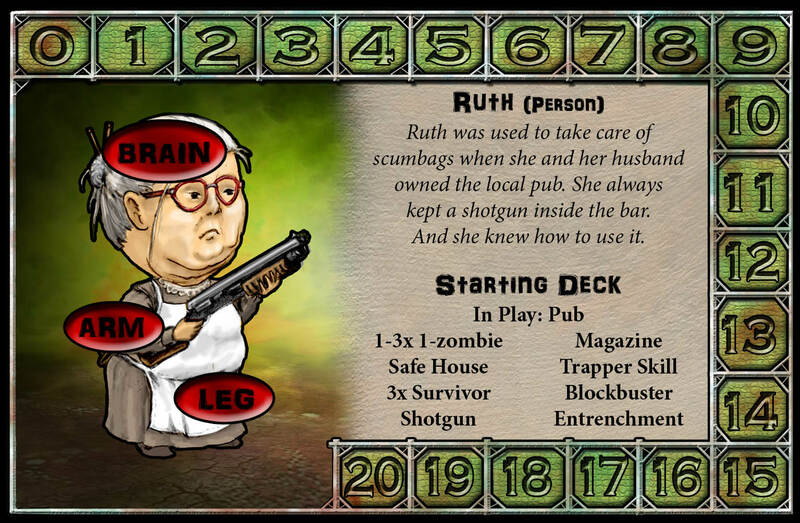 Never fear, though – Ruth is here to help you, and she’s been using hers for decades. First, you need to draw it to your hand and play it sideways in front of you. Or retrieve it if you’ve found it while scouting. Then it needs to be prepared (loaded) so you can use it. 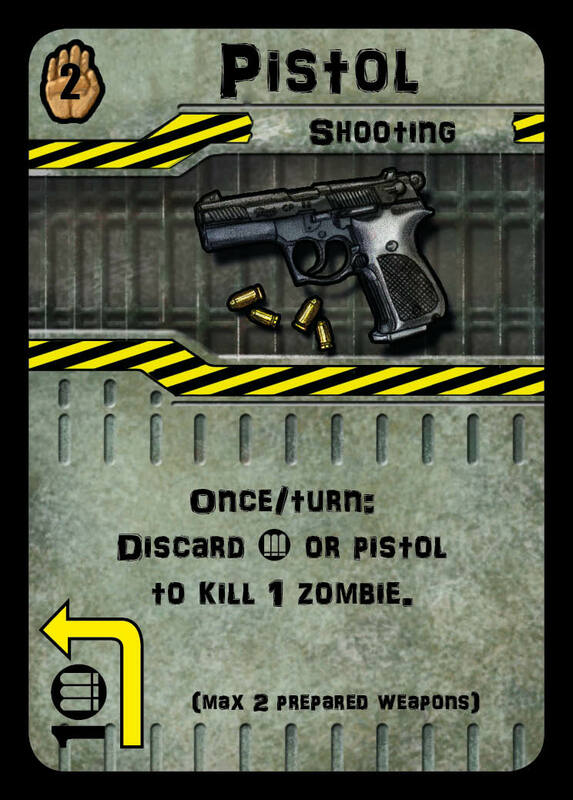 Insert as many bullets (cards) as you can from hand to fill it with ammo. Don’t be shy about it, because these are the only shotgun bullets you have. 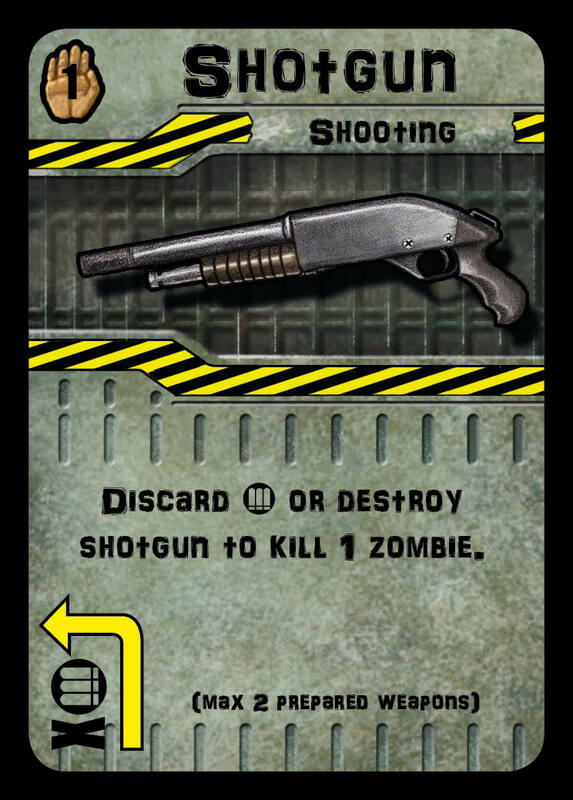 Now your shotgun is prepared and can be used. The nice thing about a shotgun is that it can be fired repeatedly without pause with great effect. Ruth knows. When you’ve used up your last bullet, there is no use keeping the shotgun around anymore. Hopefully it bought you enough time to get another weapon. All new items can be preordered for pickup in Essen. Send an e-mail to info@fryxgames.se, and simply state which items you want to preorder along with your name, and we will reply with a confirmation. Please note that all preorders must be picked up before Sunday. 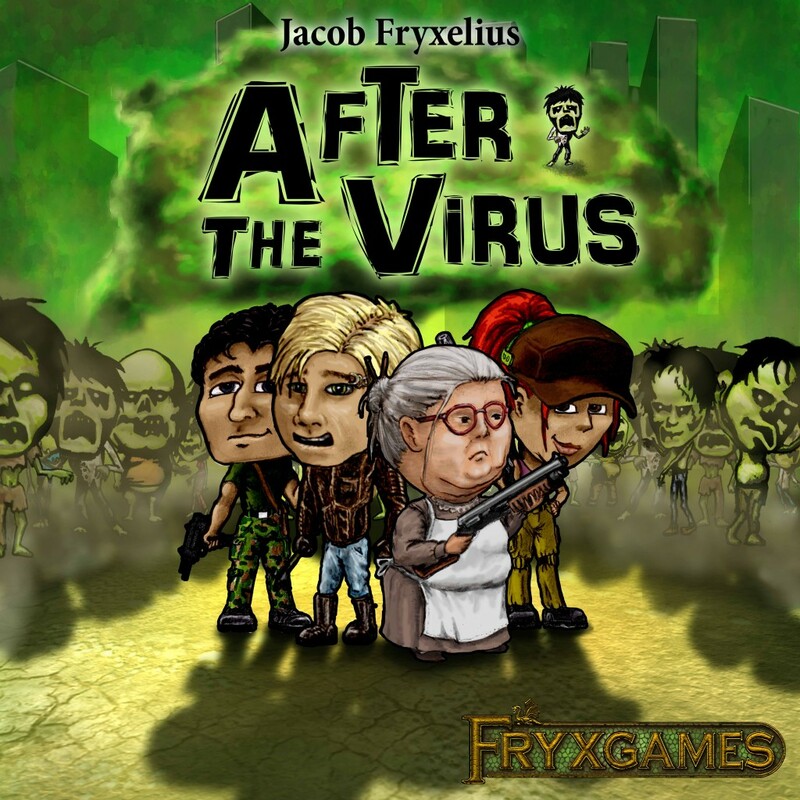 We just uploaded an official page for After the Virus, where you can download the rule book to start to explore its mechanics. 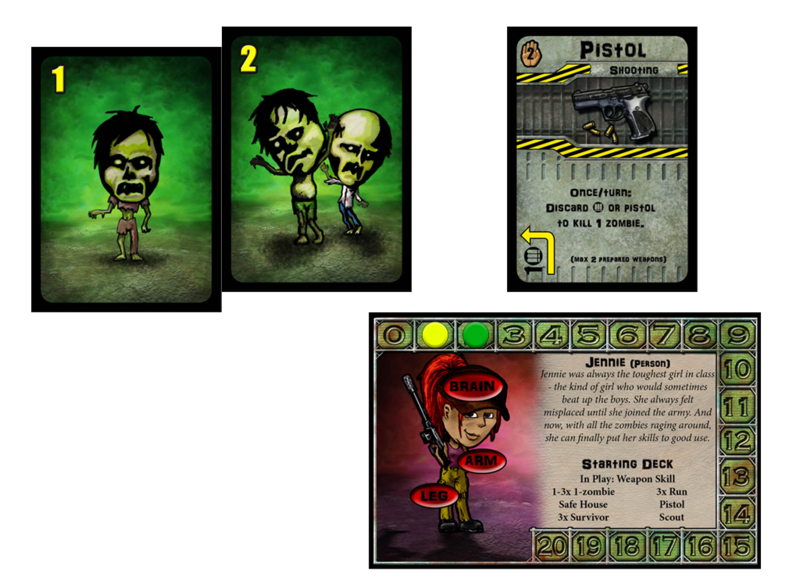 A cooperative deck building game where your deck is invaded by more and more zombies each time you reshuffle, your tension building while you desperately try to complete the current mission. In most deckbuilders you mainly add cards to your deck to get stronger, but in After the Virus many cards stay in your play area and you have to deal with your deck getting worse as the game progresses. When I first got the challenge to make the art for After the virus I was into some kind of comic book style. 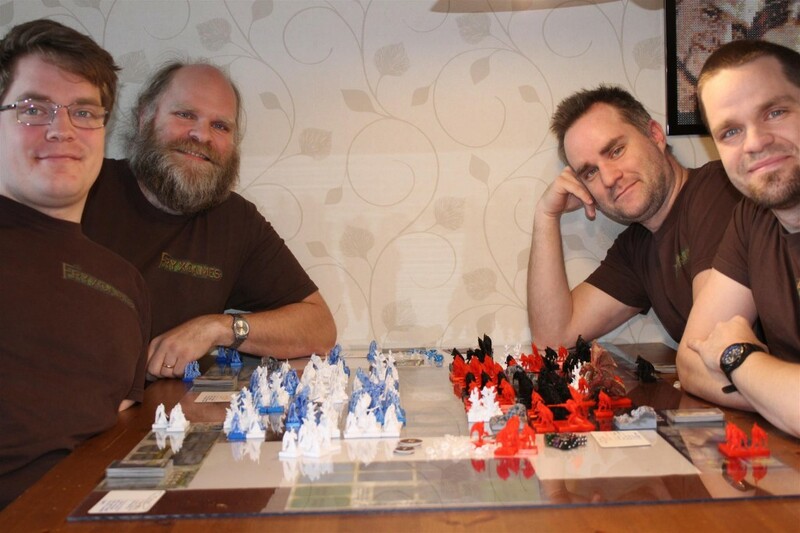 Kind of like what they used for Zombicide. 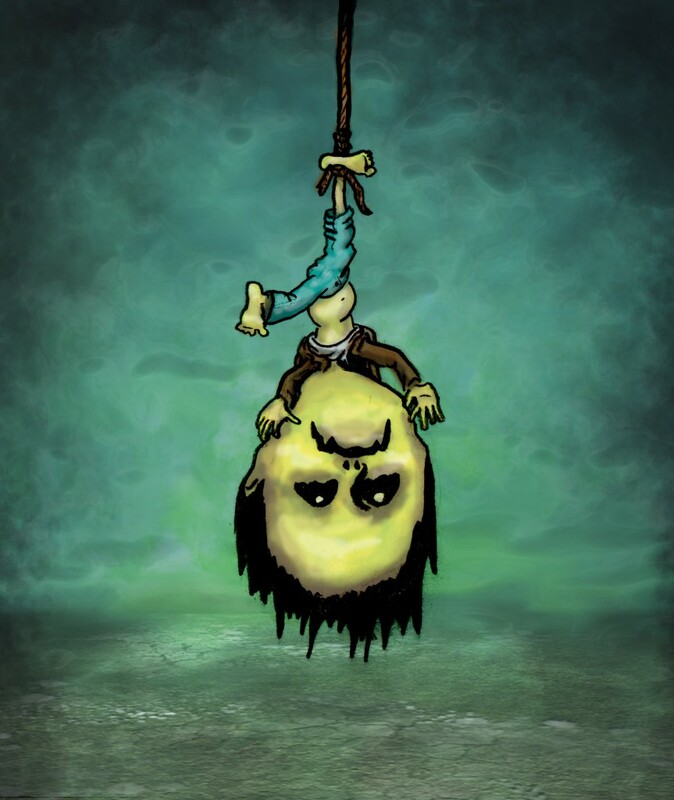 Blood, slime, decay, but in a comic style so that it will not be too scary if younger kids happen to walk by and watch. I played the early prototype of the game with my daughter when she was only 11 years old, and she was really into this game for a while. I started to draw a few zombies and thought I was making a good job… until I showed her my sketches. Dad, I don’t like them. They are too scary. I can’t stop thinking about what happened to them and who they were before. This was a problem. As for myself, I have no problem with killing soulless monsters in games, but if these zombies had too many characteristics they would tell the story of how they died and who they were before. They had to be less realistic, and something that makes you feel like it really doesn’t matter what happens to them. Like they were toys! I settled for the blob-head style. My brothers were not too easy to convince, and still today I’m not sure if they would rather have a more serious style. But I’m pleased when I see my kids 10- 12 years playing the game and other kids hanging around, knowing that I have taken away the edge of the otherwise very serious and terrifying theme of zombies. We hope that both young and old will enjoy this game! Great news was delivered at GenCon. 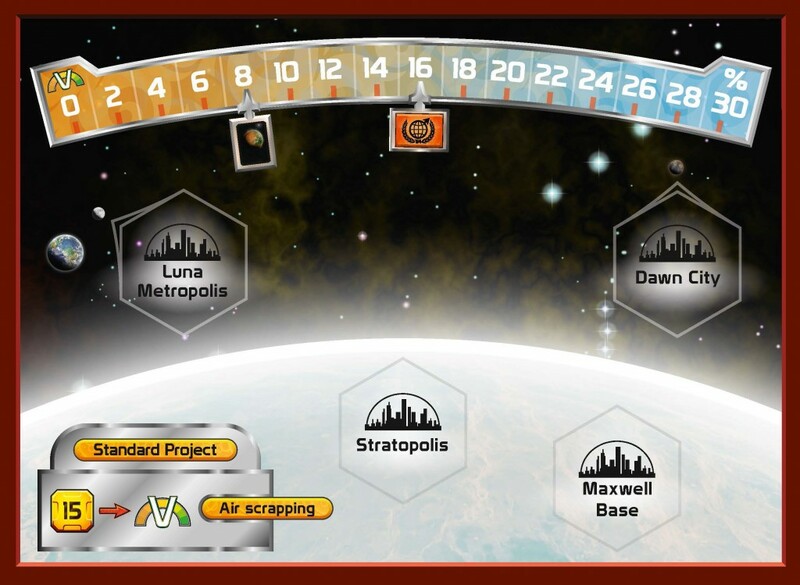 Asmodee Digital will make Terraforming Mars an app for mobile and tablets. For now, we stay silent on what specific features it will include, but the app is scheduled for release in the second quarter of 2018. As we wrote last week, Hellas & Elysium has finally been released. With two new game boards, who could ask for more replayability, right? So here we go, producing Venus Next, the second expansion for Terraforming Mars. 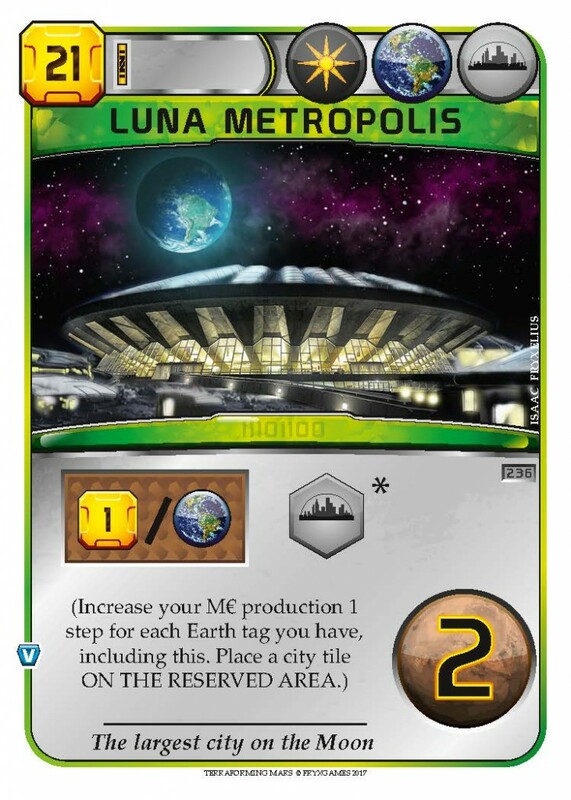 It is scheduled to be released this year at Essen, and just as we gave some thematic background for cards before the release of the main game, we will present some exclusive content that will appear in Venus Next along with some thematic context. Enjoy! When the World Government realized that the terraforming of Mars would succeed, they set another lofty goal: the terraforming of our sister planet Venus. Venus is similar in size to Earth, but there the similarities end. Venus has extremely long days, a crushing atmospheric pressure, and a furnace for a surface. It is a huge project indeed, and it is expected to take a millennium to complete, but the WG is determined and ready to devote even more resources to the terraforming process! Venus Next adds a new global parameter to your game of Terraforming Mars, similar to the oxygen track but signifying the progress on Venus. The terraforming of Venus is complex and has many different aspects, and many of those are totally different from those on Mars. 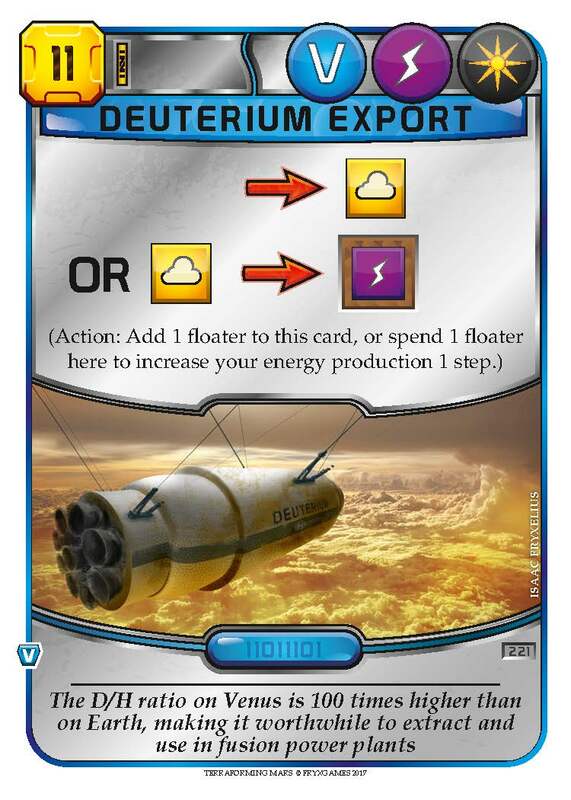 Therefore, 49 new project cards are added to the deck (as well as 5 new corporations!) to represent this completely new arena where corporations can compete and contribute. 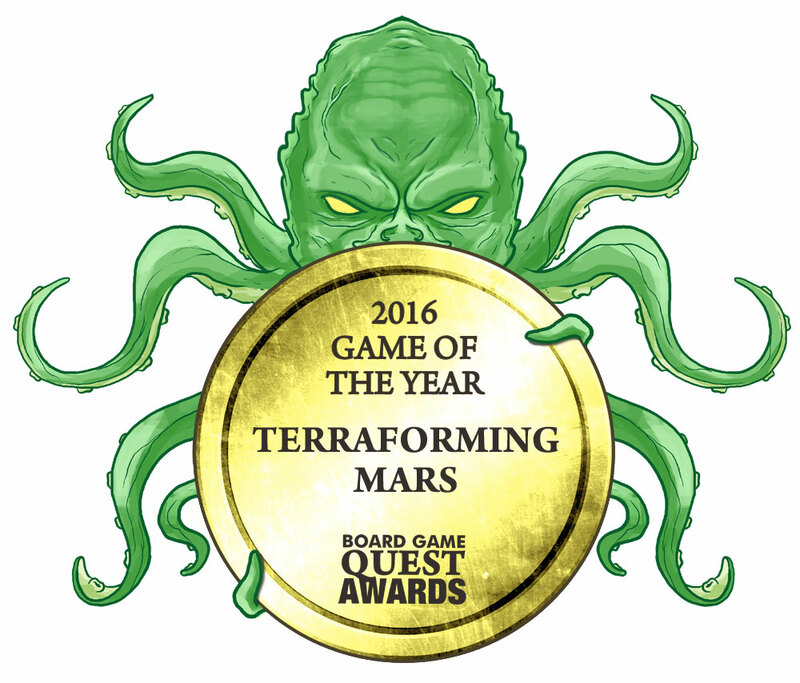 Terraforming Mars was announced Game of the Year 2016 by Board Game Quest this week. We are thrilled and humbled by the success. The game is currently ranked 11th of all board games according to BoardGameGeek. We have started to upload tutorial videos for Terraforming Mars, created by graphic designer Isaac Fryxelius. It is made as a video series covering different aspects of the game. Enjoy! The videos are also available on the Terraforming Mars game page, as a video playlist on YouTube, and on the game’s BoardGameGeek page.